ALN Senior Care & Home Services provides home services as needed. 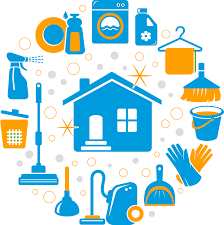 Were you home for the holidays and noticed your loved ones and your loved one’s home was not as tidy as it has always been? Expired food in the refrigerator? Trash overflowing? Did you notice mom could have used an extra hand preparing the meal? Yard is not as maintained as it always has been? These are all signs that your loved one may need some help around the house. Often times your loved one will not speak up and ask for help, and we understand this is a hard conversation to have with your loved one. Allow our nurse specialist to come out and explain the services we can provide. All services are provided as requested. Cost depends on specific needs. Below are some of the services we have provided in the past. Don’t see what your looking for? Give the office a call and ask! We do our best to provide the best quality caregiver to meet all specific requests. Home services, as well as all other services provided by ALN Senior Care & Home Services can be initiated within four hours of request in most cases. To receive more information or request a free consultation please click the link below. ALN Senior Care & Home Services is a home healthcare agency, located in vibrant Troy, Ohio. ALN Is proudly serving the Greater Miami Valley and surrounding areas. Our Mission is to exceed your expectations with compassion & care wherever you call home. While we understand one's financial, social, or health situations often influence a final decision for in home care, we encourage you to give us a call today to discuss your options further. Our Nurse Specialist can come out today and review your options!